Mix non-alcoholic wheat beer with lemon juice, lime juice and orange juice and what do you get? 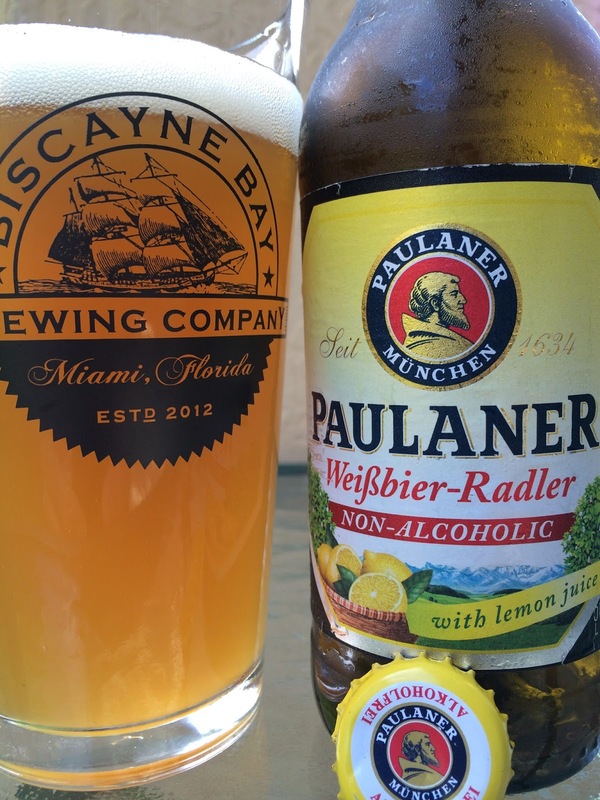 Paulaner Weissbier-Radler! This comes in a 331 mL bottle. Grainy aroma. 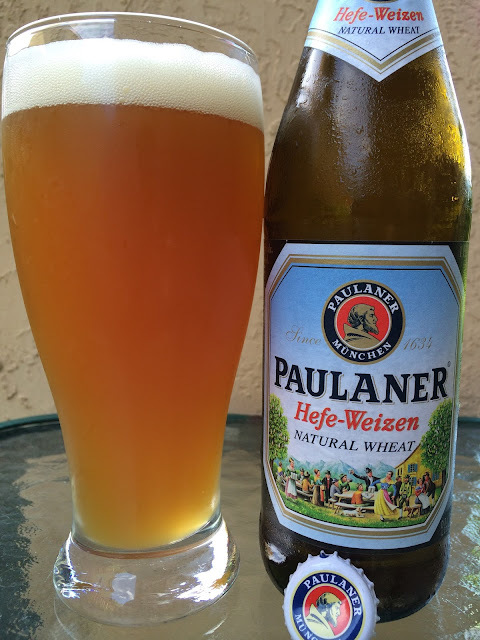 Similar sweet grain start with a nice lemony and fruity juicy balance. Sweet and tart play nicely with each other. Very pleasant easy drinker. Follow that up with a 16.9 oz bottle of big brother Paulaner Hefe-Weizen. Bigger bottle and 5.5% alcohol. The label on this bottle has a quaint outdoor German mountain scene with people drinking pints in a beer garden. The wheat is very noticeable in the aroma. And the flavors begin with a wheaty zing. A bitter edge follows and lasts to the finish. Lightly spicy. Faint fruit. The flavors are subtle but nice. Creamy texture.